​Claudio Ranieri has backed his Fulham players to remain positive despite the club losing further ground in their bid for Premier League survival on Saturday following their defeat at Crystal Palace. Goals from Eagles duo Luka Milivojevic and Jeffrey Schlupp secured a 2-0 victory for the Eagles at Selhurst Park whilst a late equaliser for Burnley, who are currently 17th, in their game against Southampton extended the gap between them and Fulham to seven points. 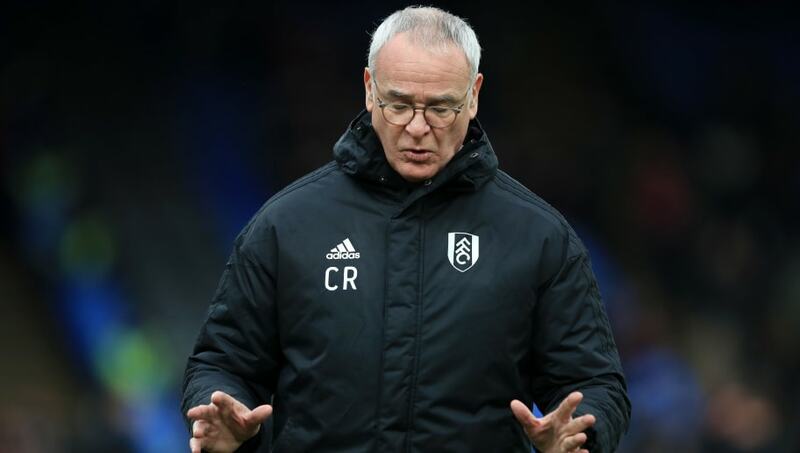 Yet despite another setback in a season which has seen the ​Cottagers struggle to adapt to their new surroundings in English football's top division, Ranieri has insisted that he still believes that they can avoid the drop. Speaking to the ​club's official website, the Italian reacted to his team's defeat, admitting that: 'If you analyse the match, we're a little disappointed after the first half. "We managed the ball very well, we created one chance with Mitrovic, and then there was a stupid foul, maybe [Cyrus Christie] hand was pushed, and that moment changed the match. "If Mitrovic scored a goal in that moment, I think it would've changed the match because when you're playing well and having a chance to score a goal, everyone becomes stronger, but that's football." "We have to be positive. We have a target in mind, and we must continue to fight. "We lost a match, we lost a battle, but not a war." With important home fixtures coming up against four of the Premier League's current top six sides, Ranieri has expressed the importance of performing well in those games, outlining that: "All the big teams are coming to Craven Cottage, and maybe we can take some points from the big teams. "We wanted points here [against Palace] - but it wasn't possible, but maybe it'll be possible against the big teams at home. In the Premier League, you never know what will happen." Fulham will be looking to bounce back from their defeat at Selhurst Park when they face ​Manchester United next Saturday at Craven Cottage. A win for Ranieri's side could move them within two points of eighteenth-placed ​Cardiff City who were promoted alongside the Cottagers from the Championship last season.